Pennsylvania State Senator Edwin “Ted” Erickson has announced his intention to introduce a bill in that commonwealth that would formally authorize online poker. Erickson’s announcement comes only weeks after the state’s Legislative Budget and Finance Committee unanimously approved the findings of a state-authorized research study into the viability of online gambling that reported that overall, the state would receive a small net social benefit from online gaming. Separately, the state’s Community, Economic and Recreational Development [CERD] Committee has scheduled a hearing for tomorrow, June 3, 2014, at which the topics of online poker and online gambling in general are expected to be debated at length. CERD is the same committee that approved the initial study done on behalf of Pennsylvania by Econsult, which generated a 200-page report detailing the prospects of online gambling for the state. Sen. Erickson’s new bill, reportedly to be tagged as SB 1396, will be a poker-only bill. Chris Krafcik of Gambling Compliance has reported that Erickson’s bill has the backing of Caesars Entertainment, and will include a “bad actor” clause designed to prevent offshore operators who served US players post-UIGEA from being licensed in Pennsylvania. Erickson, a Republican from the state’s 26th Senate District, is a veteran who announced last year that he won’t seek reelection. His district comprises much of Philadelphia’s outer western suburbs and borders both northern Delaware and western New Jersey, both of which already offer online poker. In the next few weeks I intend to introduce Senate Bill 1386, legislation that would authorize Interactive Gaming in the form of online poker. A recent study from the Legislative Budget and Finance Committee found that Internet Gaming is a large new source of revenue that the Commonwealth could explore. This means more revenue to assist in the reduction of real estate taxes. My bill will only authorize Internet Poker. Poker is unlike banking games in many respects that make it best for the introduction of interactive gaming. Poker operators are not participants in the games and are indifferent as to the outcome. Additionally, many Pennsylvania residents participate in illegal and unregulated poker sites. Establishing a strong regulatory framework under the Gaming Control Board will assist in shutting down these illegal sites and enhance consumer protection for our gaming residents. Require all internet poker to be conducted under the current gaming licensees. Require a licensing fee of $5 million per license. Includes a Bad Actor Language which would exclude those who violated the Unlawful Internet Gambling Enforcement Act (UIGEA) of 2006. Online poker, specifically, does not appear in the above description, though the central point of the hearing is expected to be the Econsult report. The committee previously supported that study on a 14-0 vote. 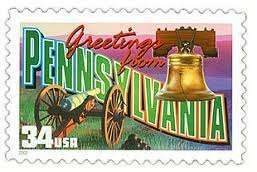 Overall, the Pennsylvania moves show that the previous attempts of anti-online-gambling crusader Sheldon Adelson appear to have gained little traction since his apparent backing of an online-gambling bill back in February. Adelson, whose Las Vegas Sands Corporation operates the Sands Bethlehem Casino in eastern Pennsylvania, strongly supported a proposed bill by PA State Sen. Mario Scavello that would make playing on many forms of online gaming sites a misdemeanor punishable by fines and possible prison sentences.